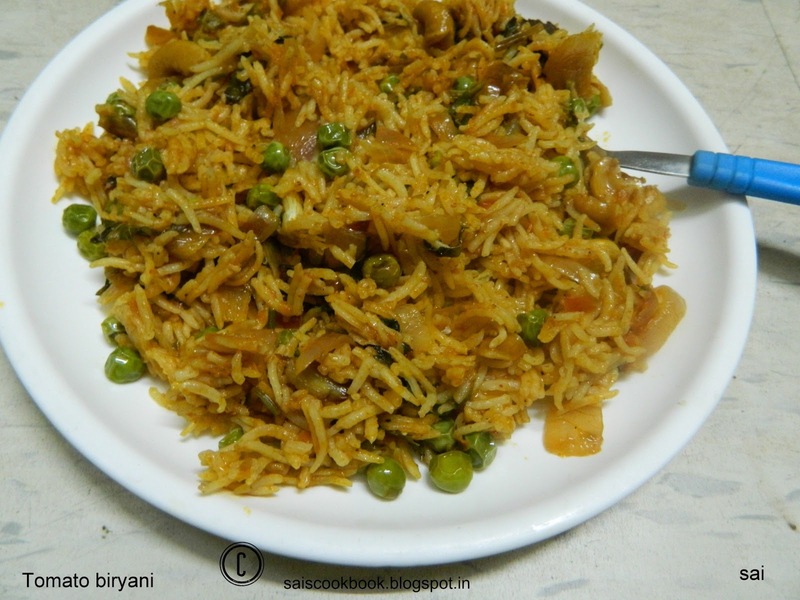 I adapted this recipe from Santoshi.Few days back she had given us this biryani and we devoured it to the core and my kids wanted me to prepare it,and I’m always waiting for an opportunity to try out new dishes.This biryani tastes like Deepa’s (restuarant) veg biryani. 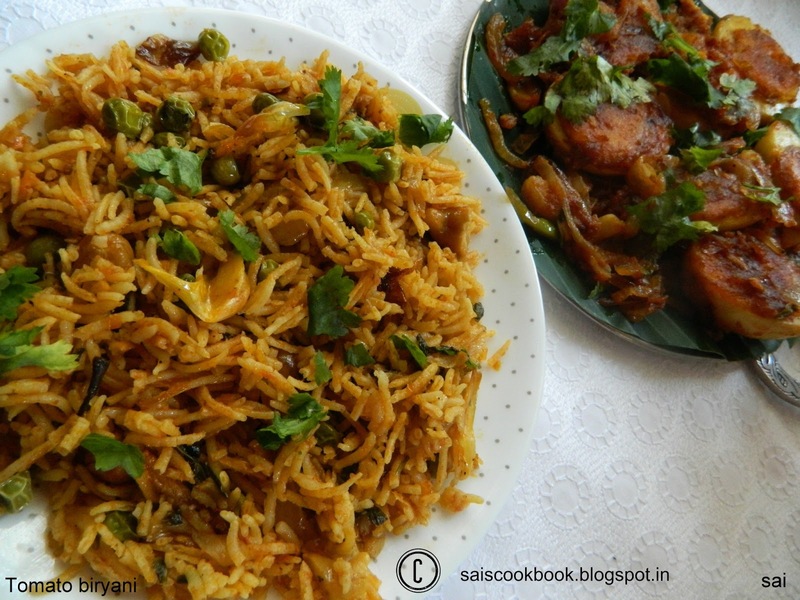 This biryani is very easy to prepare.I can say this is a instant biryani.The aroma of this biryani is awesome.Best served with raita. Soak the Basmathi rice in water until the masala is prepared. Smash ginger and garlic in a mortar and pestle. Heat ghee in the cooker and splutter cumin seeds,cloves,cinnamon,bay leaf and fry for few seconds,add smashed ginger garlic and fry for 3 seconds,add onions and fry until translucent. Add tomato puree and fry until it leaves the sides of the cooker or until the raw smell disappears. Add chilly powder,turmeric powder,garam masala powder and fry for a minute. Add coriander and mint leaves,green peas,soaked rice, Cashewnuts and salt to taste. Add 2 cups water and take a whistle and off the flame. Once the pressure releases open the lid and mix the rice delicately. 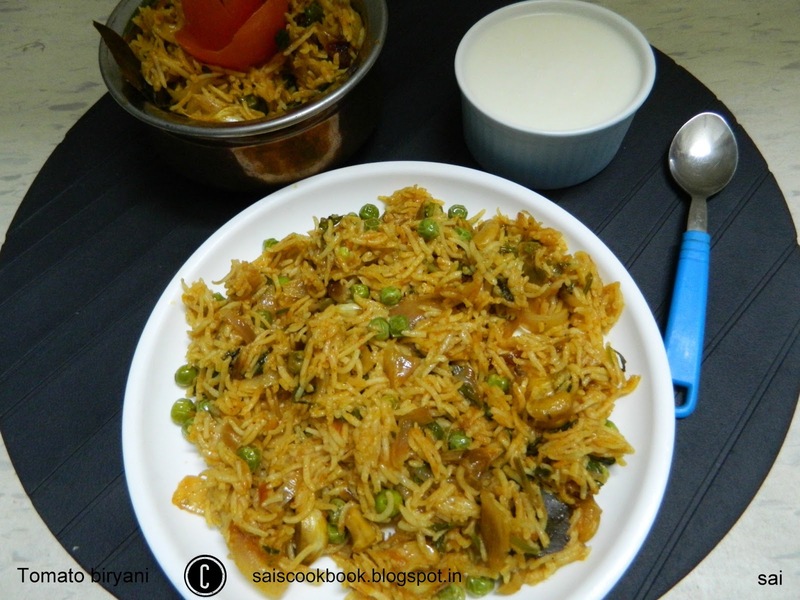 You may also prepare the rice in a rice cooker by adding 2 cups of water,2 tsp ghee,green peas and salt to taste,and then mix it with the masala for a better result.